With thanks to Yvonne Salt for providing the scans and comments. 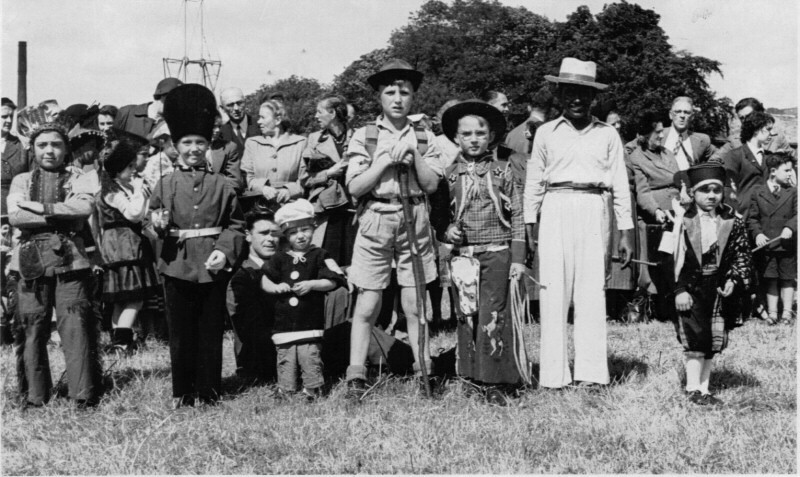 Sutton Gala 1954, Leonard Davy as Popeye with his father Eshton Davy sitting behind. 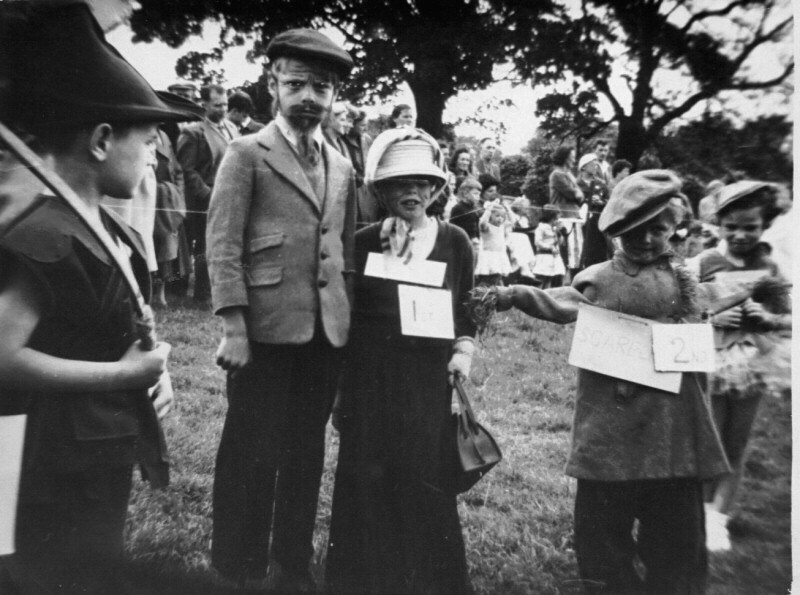 The occasion is 'Sutton Co-op Gala' c1929, held in the Co-op field belonging to Bay Horse farm which was also owned by the Co-op. 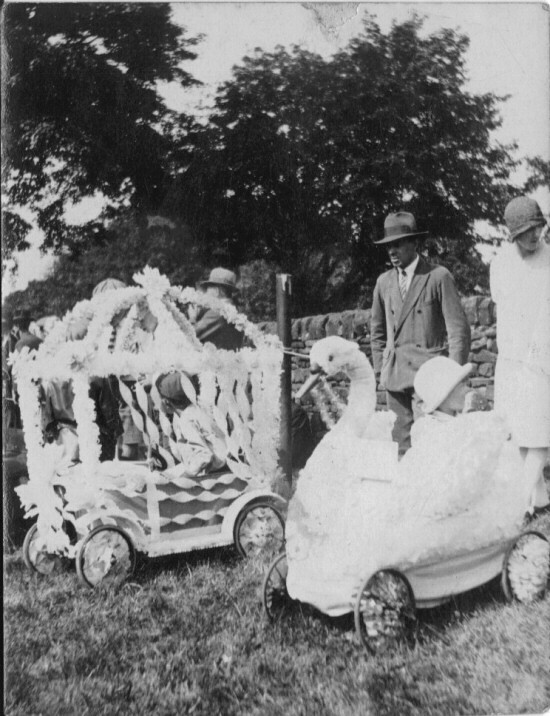 Sitting in the swan, made by my grandfather Leonard, is my father John Eshton Davy. In the 60s my brother Leslie found an old silver sixpence in the field � maybe it was lost there by our grandfather.